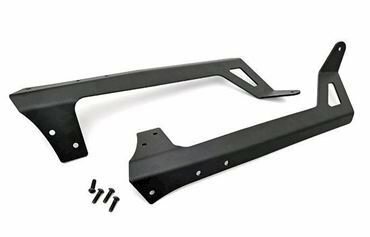 Fits 1997 - 2006 Jeep Wrangler TJ Models ofr use with our 50" light bar. Uses existing bolts and holes. No drilling. Makes installing one of our 50" LED Lights a snap! _x000D_ Black wrinkle paint finish.